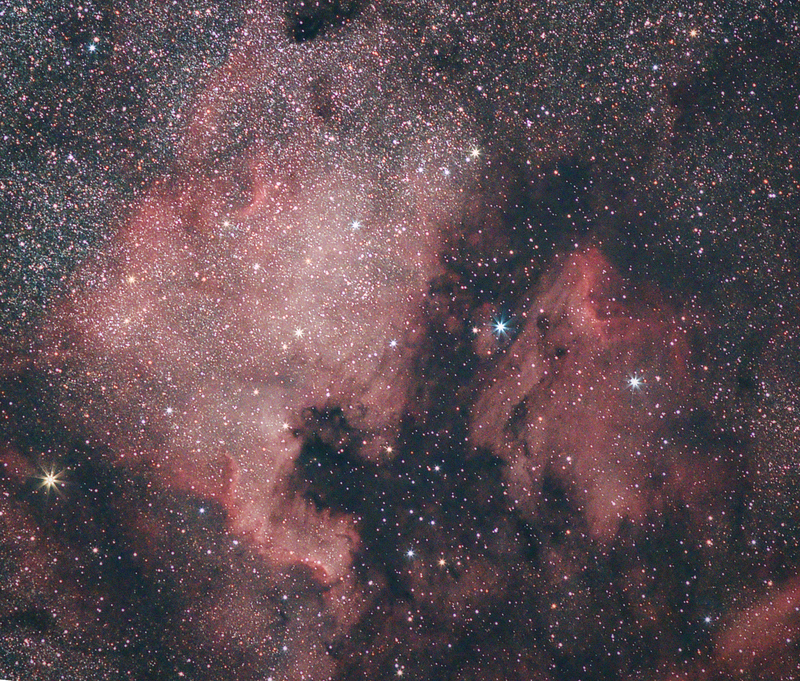 The North America emission nebula (Caldwell 20/NGC 7000) and the Pelican emission nebula (IC 5070) in Cygnus imaged with a 200mm f/2.8 camera lens rather than a scope. Canon 60Da camera at ISO 3200 with a 200mm f/2.8 L lens at f/4 mounted on a portable astronomy mount – the Astrotrac TT320X AG. Essentially just a barndoor tracker but it allowed me to take 28 x 1 minute exposures of this area which were then stacked and processed in PixInsight with final touch-ups in Photoshop. 25 flats and 21 dark frames.